Yak festival in Panchthar, Eastern Nepal - Integration Through Media ....! 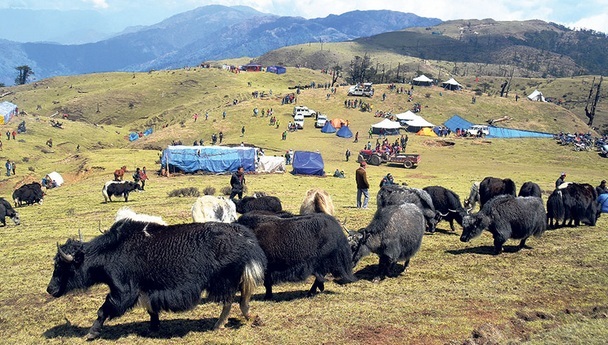 PANCHTHAR: Yak festival was organised at Falelung rural municipality-4, Charrate in Panchthar, Eastern Nepal on Sunday. Mausam Dhungel, Chief Administrative Officer of Falelung rural municipality, said the festival was organised to impart a message to contribute to increase local people’s income by promoting tourism through yak rearing, develop yak culture, promote yak related products, protect endangered wildlife and herbal plants and lessen risks of environmental and climate change factors.